Football Association of Singapore (FAS) has announced that Japanese company, Ajinomoto Singapore has signed a 1-year sponsorship for the National Football League (NFL) competition. 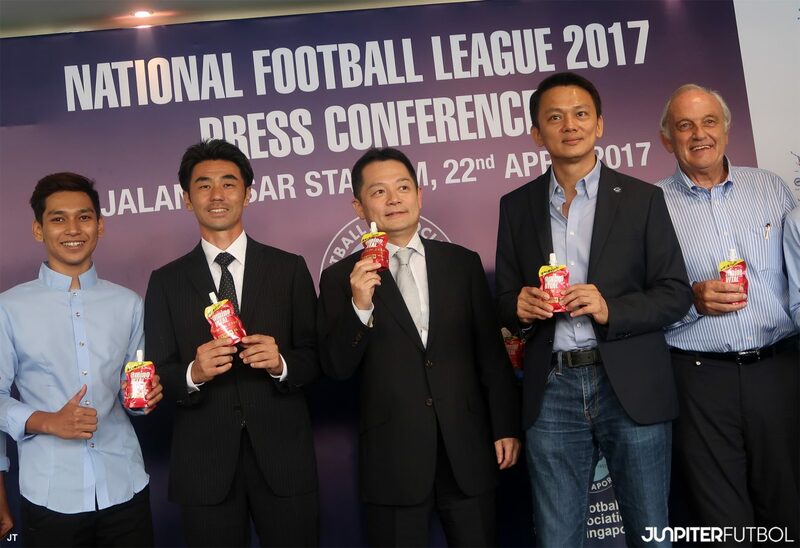 Apart from the cash sponsorship, Ajinomoto Singapore will also be sponsoring products such as aminoVITAL Gold, aminoVITAL Protein and aminoVITAL Perfect Energy which some of the top Japanese players, AC Milan’s Keisuke Honda and Inter Milan’s Yuto Nagatomo are already using on a regular basis, for all the NFL clubs. The famous Japanese brand will also be conducting sports nutrition workshops for all the NFL clubs which will be organized by FAS and Samurai Pte Ltd. The huge sponsorship for NFL is definitely a shot in the arm which many would agree that the support for the lower division football is long overdue. “We are currently based in Singapore and we have always been thinking how we can contribute to the local sports scene. When this opportunity to be involved in Singapore football came, we recognized that this is a good opportunity as football is a widely played sport in Singapore. We also hope that many people will start to know more about our brand as well,” said Mr. Keita Ishii, Managing Director of Ajinomoto Singapore Pte Ltd. The 2017 NFL season launch also saw the unveiling of the new competition logo. The new logo, which features a player in a mid-strike position, comprises a brand new combination of red and blue colors.